Below are the rider times for the 2016 Trek Coed y Brenin Enduro. While we try our hardest to make sure all times are accurate there are always issues beyond our control. Sometimes timing chips do not read due to failure or damage and there are occasionally a few riders will always take a wrong turn, no matter how well we sign. If you find any issues with the timing please email mail @ dyfievents.com We are happy to do our best to adjust errors and insert missing times where we can. 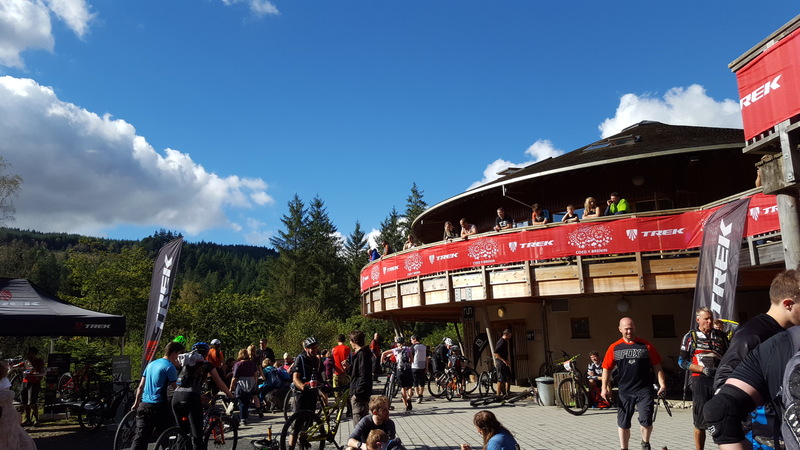 Please also remember that the Trek Coed y Brenin Enduro is not a race so we do not publish rider position. Times are split into the two distance categories 25km and 55km. The course featured 2 route splits. There may be a few riders who rode the long first loop and then left out the final section of the long loop. These riders will be allocated to the 25km event (although they will have actually rode around 40km) unfortunately we can not offer a separate event for these riders. We hope that whatever route you rode, you enjoyed the course and had a great time, the weather was again kind to us this year.